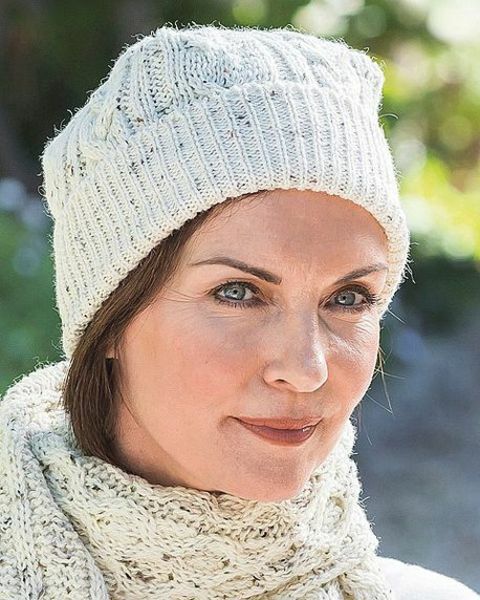 Classic ladies Aran style knit Hat. Cream. Hand wash.
Aran style cable knit hat. Practical and stylish. A great way to keep your head cosy in the cooler months.